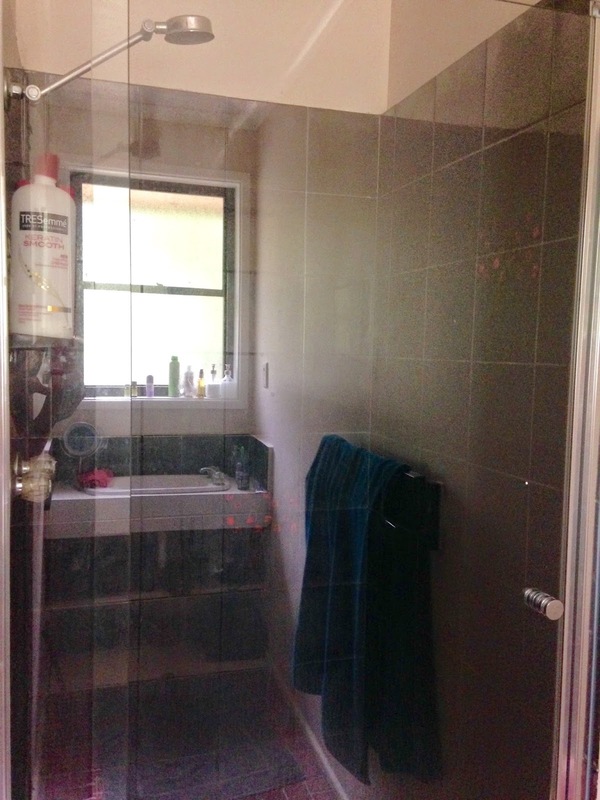 I'm super excited that it's almost ensuite renovation time!! 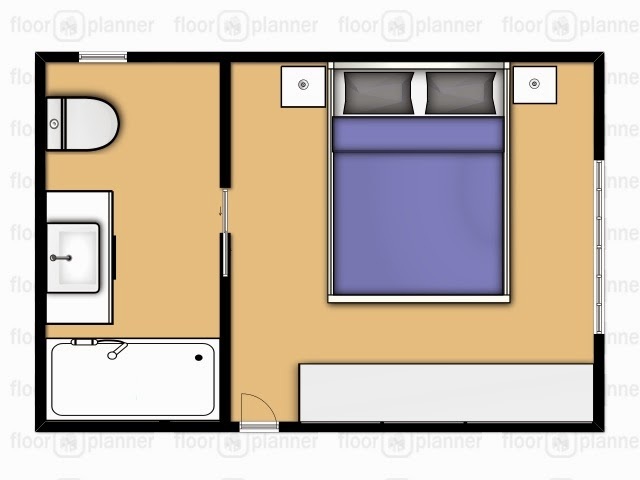 I can't wait to get this done, we have to employ quite a bit of help to renovate the ensuite as it involves moving walls, plumbing, waterproofing etc etc. So much work to do but that's all part of the fun! It's really hard to take a photo in a small room with a window directly opposite, and then trying not to get in the photo yourself, it's a little hard but hopefully you can see what I'm trying to show you. 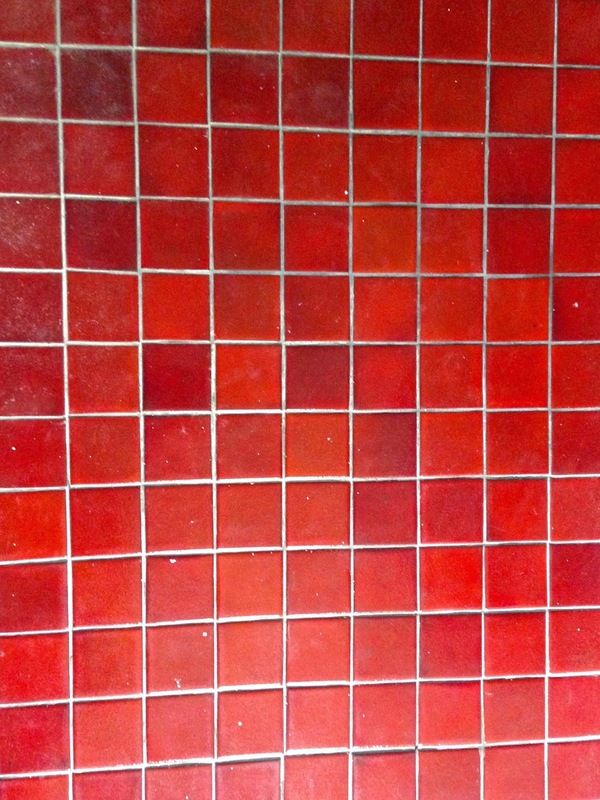 Awesome black tiles! 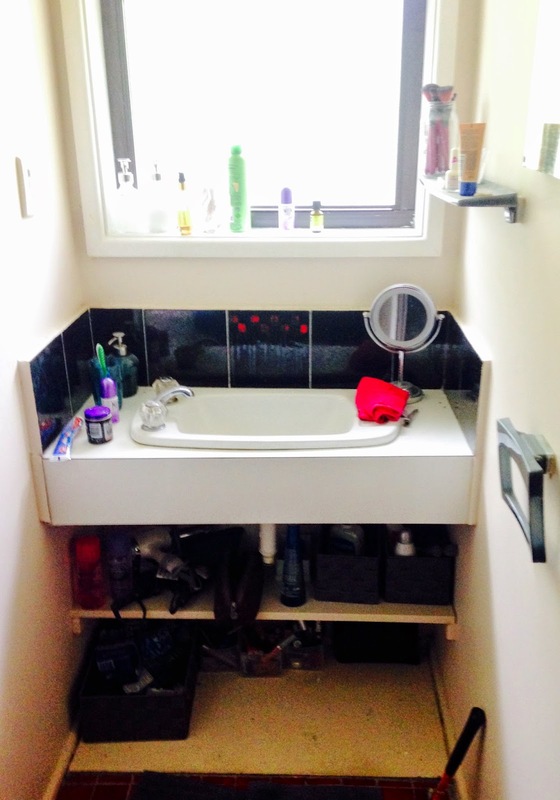 Here's our little sink with a few shelves underneath. I was going to clean everything up but then I remembered, we live here! I have so many products and needs in my bathroom that it has been really hard to squeeze them into this little area, as you can see I have products everywhere. To put this into perspective, the vanity is around 890mm wide. Check out those floor tiles right!! Can you say TERRIBLE!! Our plan is to remove the back walls behind the wardrobes, fill in the wardrobe doors and add in a cavity door as the entrance to the bathroom. I know a lot of people that hate cavity doors, and trust me, I get why! They are not overly pretty, you can't really lock them without an ugly hook, but the ensuite is not very big so I don't really want to lose space where the door opens. 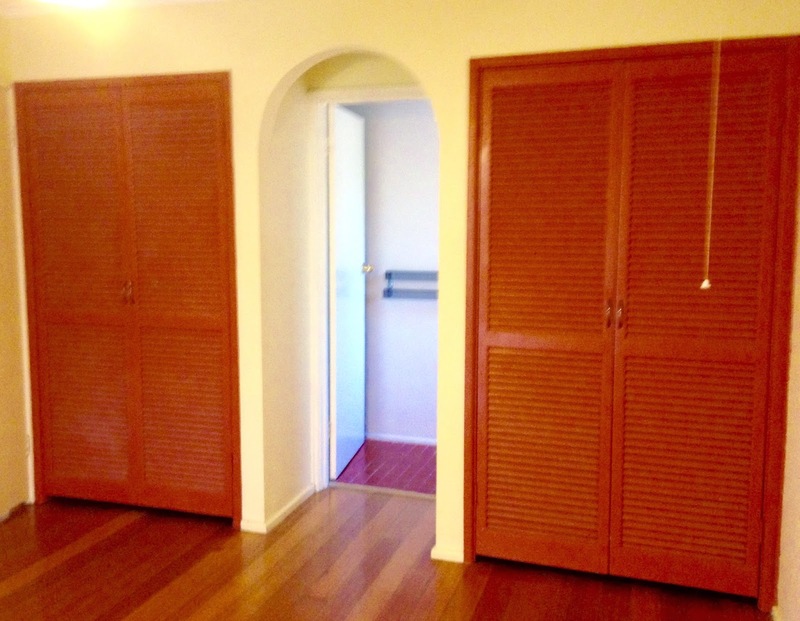 By putting in a cavity door we won't lose any space in the ensuite or in our room. The vanity will be right in front of the door so it means that someone could be standing at the vanity and open the door and walk in. We also plan on moving the wardrobe to another wall in our room. 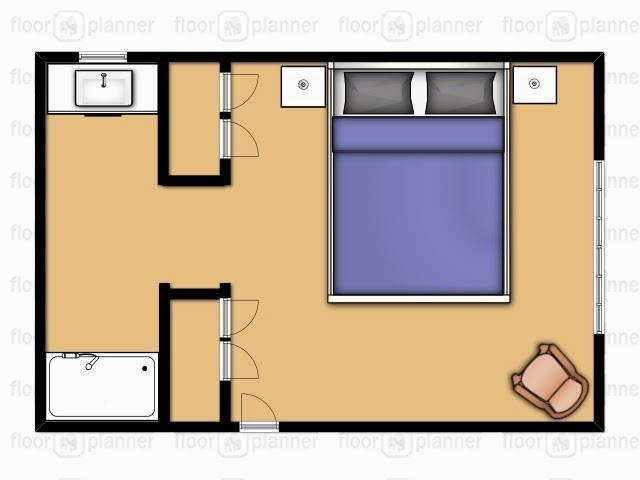 Let me show you what our final plans are for the room. We are still in the process of finishing the laundry but we can probably tie all of that in together. Means when we paint the wall in the bedroom we can paint the laundry at the same time, one paint tray to clean and only a few brushes. Suits me perfectly!! I am so excited to live in a house with a fully functional ensuite, so pumped! Now we just need to get it done. We are hoping the tradesman helping us can start over the weekend. I'll be sure to keep you all updated on our progress on Instagram so make sure you click on the link at the top right of the website to follow Styled to Profit.